Flint & Son is a well-established family-run business, founded in 1987. As expert bathroom fitters and bathroom tiling professionals, we complete in excess of fifty new bathroom projects every year. 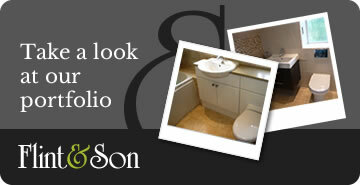 The best way for us to help you design your new bathroom suite is to visit you at home. We offer a complete design and planning service, utilising the very best design practices to provide you with a beautiful new bathroom will look. Our highly skilled tradesmen are second to none and have extensive experience in the tiling, electrical, plumbing and plastering trades. Indeed, our electricians are also Part P qualified. So no matter the job or the requirements; we can provide you with the best in bathroom suite installation. Our new shower and bathroom fitters will ensure you receive the highest quality bathroom installations services you would expect while providing you with the assurance of that the bathroom will last. With over 25 years service in the industry, our bathroom fitters will ensure that you receive only the very best in bathroom installation and one that lasts for many years to come. If it is a disabled bathroom you require; our bathroom installation team can fit out your old or new bathroom with the equipment it needs in our full disabled bathroom installation service. We tailor our new bathrooms, shower rooms and bathroom tiling work to meet your requirements and ensure you receive everything you need. We believe in traditional business values of personal, attentive service and honest pricing. We offer our best advice and experience at all times to help you make the right decision for your new bathroom design. 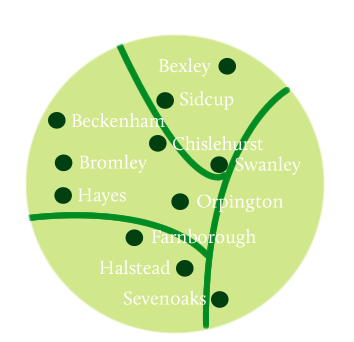 We offer home design consultations and a full bathroom and new shower supply and installation service, as well as a new central heating system installation service, to customers across Orpington, Otford, Petts Wood, Chislehurst, Bromley, Biggin Hill, Sevenoaks, Sidcup, Bexleyheath, Sevenoaks and surrounding areas. The majority of our clients are homeowners but we also welcome enquiries from property developers and other trade clients. 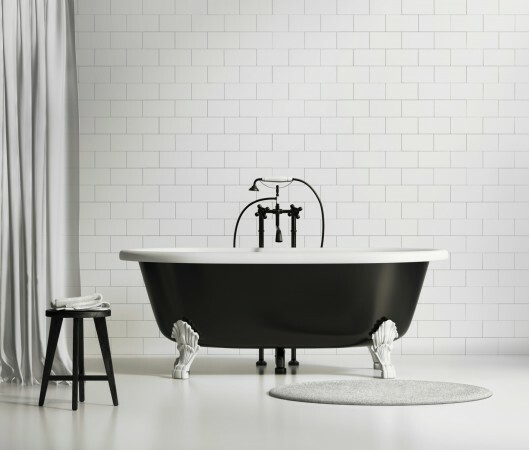 If you want to improve your home and lifestyle with a beautiful new bathroom design and bathroom tiling, at a price to suit your budget, please contact us for a free estimate and friendly advice. We are also members of the Guild of Master Craftsmen. Our membership is your assurance that we will complete all installation work to the highest standard of quality, on time and within the proposed budget. You can see for yourself our extensive portfolio and testimonials of past work whilst we can assess the bathroom you have now.